L.L.L4L.L.L. 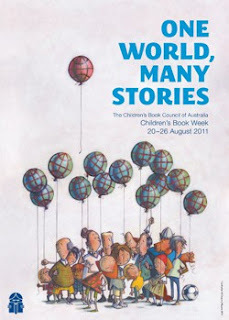 : Download a comprehensive teacher resource on the 30 shortlisted CBCA books. Download a comprehensive teacher resource on the 30 shortlisted CBCA books. I am sharing a message from Tina Cavanough President – Children’s Book Council of Australia (Qld Branch) In 2011, Inside the Shortlist will be offered as an e-book only. Payment must be made in advance and once it is available, you will be sent the download link. A comprehensive teacher resource on the 30 shortlisted CBCA books. Welcome to our first completely electronic edition of Inside the Shortlist. The Children’s Book Council of Australia (Queensland Branch) is very proud to be involved in this, our fifth annual publication. The opportunity to share this information with you in an electronic format is very exciting. We believe the new format is kinder to the environment, allowing you to print and use only the pages/sections you need, thus eliminating some of the surplus paper floating about in our libraries and classrooms! Inside the Shortlist is an invaluable resource to those promoting quality Australian literature for children and young adults all around Australia. It contains extensive teacher notes on all of the 2011 shortlisted books, including tips on the use of these books within the Australian school curriculum. It also provides practical display ideas for each book and links to relevant websites that will be of use to both school and public libraries. Don't miss the opportunity to join in the 2011 book trailer competition: Do you make Book Trailers? Are you in Years 5 - 7? Years 8 - 10? Are you a teacher or librarian who works with students on these? Visit their site to find further details. I would love to take this opportunity to thank all of the Children’s Book Council of Australia judges for all of their time, interest and devotion to promoting children's books. All work is voluntary and done by passionate people who are committed to bringing children and good books together.